With increased demand for IT professionals and a steep rise in the number of software developers, it is becoming vital to showcase your coding skills, especially if you are looking for an IT job and have to compete with hundreds of other applicants. Whether you are planning to improve your knowledge in certain areas or looking for a course to enhance your coding skills, joining a C/C++ training course can surely help. Though we cannot see the codes when a software application runs, but the users can always feel the difference between a feature rich application and a general one. Today, the world heavily relies on technology and skilled coders are in high demand in various organizations. There are various training courses offered by institutes to help you learn coding and a valuable C/C++ certification can act as a powerful weapon in the race of good employment opportunities and better competitiveness. A certification from a reputed organization always opens the doors to better jobs and is always a great motivator for self- development. a. Though numerous computer languages are used to write applications, C and C++ are the most popular languages that are used worldwide. Everything from operating systems to microcontrollers are written in C as it is versatile, flexible and even offers maximum control with minimum commands. b. 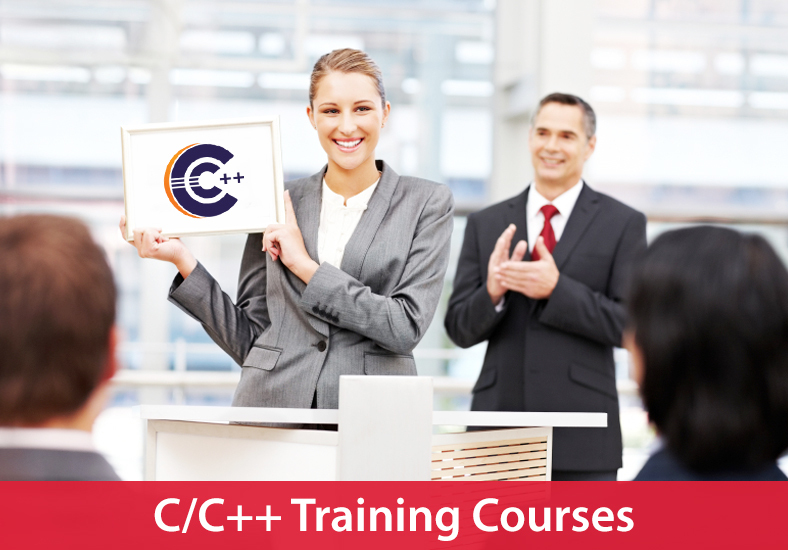 Since C and C++ are recognized worldwide and are used in multitudes of apps and operating systems, joining a training course often empowers you with various things that you wouldn’t be able to learn otherwise. This includes becoming a career coder, hand-crafting your own website and even starting your own technology business. Proper training will also help to communicate with colleagues in different regions, even if they don’t speak the same verbal language. c. Another great advantage of choosing the C/ C++ language is that C is the basic language of all advanced computer programming and if you are willing to learn C++, which is an object oriented language, it is vital to know the C language beforehand. Since programming in C is easy as it uses basic commands in English, you can easily start to learn coding before you look for a career in the IT industry. How the C/ C++ certification will help you? Remain ahead of competitors: Gaining a certificate will always keep you ahead of your competitors who are non-certified. Recent studies that are conducted by Network World and SolarWinds have revealed that a certification has a big impact on creating IT professionals for evolving business organizations and the survey also claimed that holding certificates has always lead to a new, better and secured job. Recruitment criteria: Statistics have also stated that IT managers and recruiters often attach a significant importance to candidates having a certification portfolio. Hiring managers are of the opinion that certification is an essential part of the hiring criteria and candidates who have joined a training course always enjoy an added advantage. Strong and secured position: Attaining a certificate also makes your position stronger in the labor market and whenever you state that you have certain skills in programming languages, you have to prove it. A certification is a great chance to prove yourself during the interview and it helps to boost your career growth and also helps a programmer to get noticed.